Technology created for the Internet of Things. Creating robust, real time-capable and secure sensor networks is a real challenge. They are usually associated with high energy consumption and can only cover small network sizes. endiio changes this: Real time capability with extensive energy saving. Using a unique algorithm, endiio sensors in real time mode use up to 10,000 times less energy than conventional radio systems. This allows thousands of sensors to be connected to one another very simply and with a long service life. 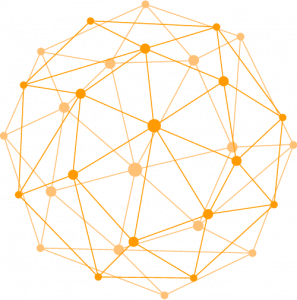 endiio is able to operate huge sensor networks very energy-efficiently and in real time. To do this, endiio uses a patented wake up radio technology, which allows tens of thousands of mini sensors to be “woken up” from deep sleep on demand, so that the measured data can be collected. This makes the system 10,000 times more economical than conventional radio solutions. 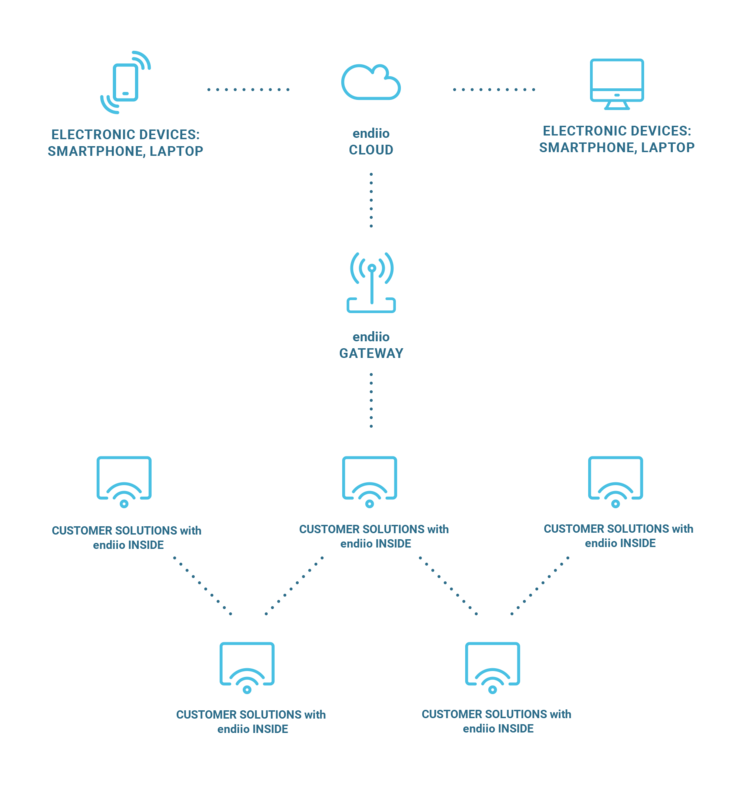 The system is based on a mesh network. 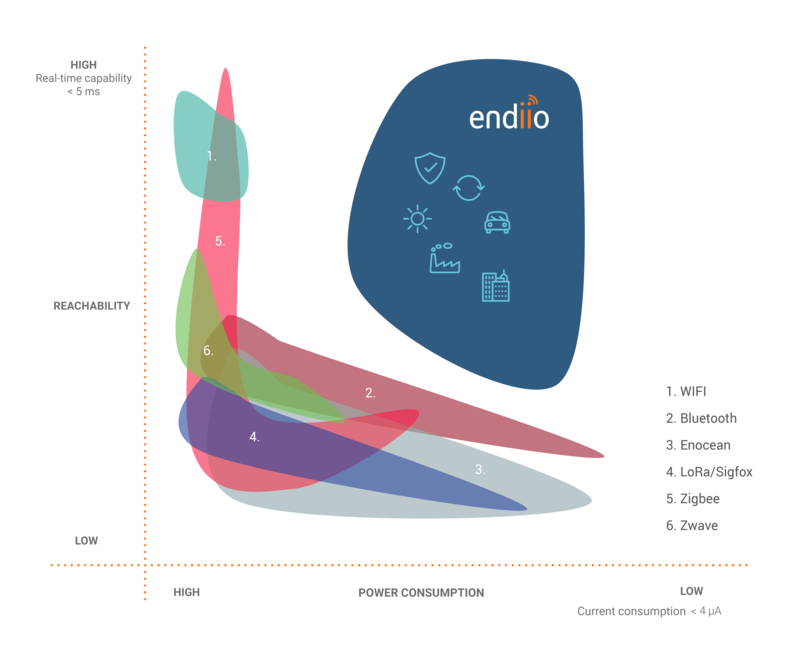 Thanks to a completely new radio technology, endiio is more energy-efficient in real time mode than conventional communication solutions. The advantages of endiio technology.